The Erasmus Generation is perennially curious, open-minded and always full of wanderlust. They travel frequently, using every opportunity to meet new cultures and friends. Lowcost airlines help them discover Europe and support their permanently mobile lifestyle. 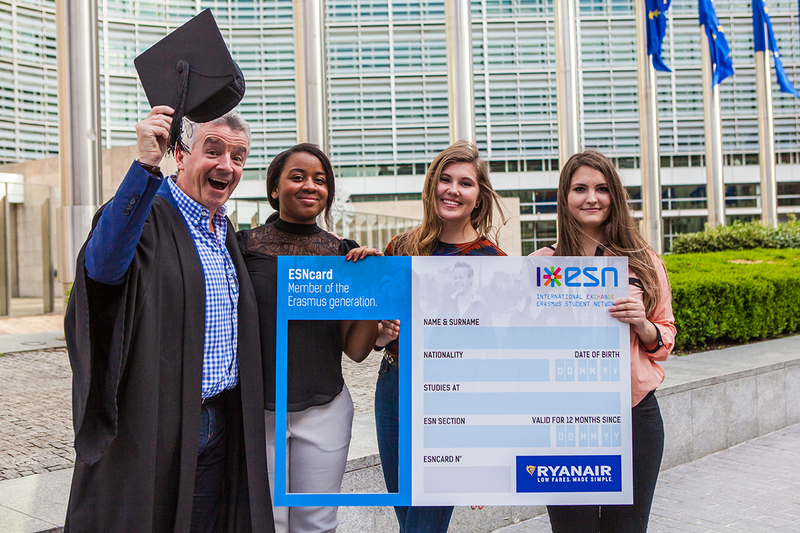 To provide Erasmus students with attractive discounts, Ryanair, the largest European airline, and Erasmus Student Network are launching an exclusive partnership. The offer will include 15% discount on flights on the Ryanair.com website and a free checked-in bag with every flight booked. For further information please visit our Ryanair Partnership FAQ.